Achieve up to 15 Gb of output with improved cluster density, read length, and quality scores. Tremendous flexibility and unprecedented sequencing power for a broad range of applications. Enhanced clustering chemistry with improved signal-to-noise ratio yields higher data quality than the prior v1 kit version. The TruSight Oncology UMI Reagents reduce error rates in samples to ≤0.007%, enabling the detection of low frequency variants. Find the right kit for your needs. 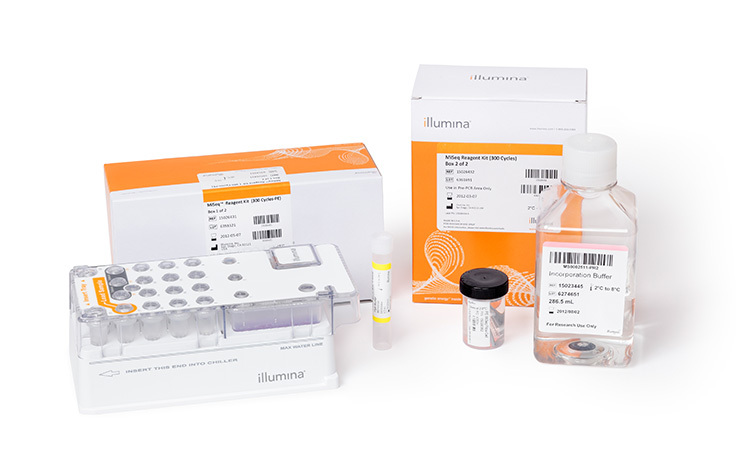 Find kits and reagents that enable construction of Illumina sequencing libraries for a broad range of DNA, RNA, and epigenetic analysis studies. Find optimized cluster generation and sequencing by synthesis reagents, flow cells, and buffers tailored to each Illumina sequencer. View a list of currently available off-the-shelf Illumina Advantage products tailored to the needs of clinical laboratories. Our sequencing data analysis software helps you spend more time doing research, and less time configuring and running analysis workflows.